Interested in telling your EDgun Leshiy story/adventure? Got a great how-to article you want to share? AWESOME! We'd love to hear from you! Use the form below to submit your EDgun Leshiy Story. I'll review and post ASAP, or reach out with any questions. Do you want to be the author listed or use the general "Friend of EDgun Leshiy"
Thanks! It can take up to 2 weeks for the review process. Once it get slated to post, I will email you with that information. I rarely go back and watch the videos I drop on the channel, but the other day I was going back through it to see how things have evolved. If I'm being honest, so of the early stuff really makes me cringe. Oh well, we all improve as time goes along. For me I think it was more just being lazy lol. I really had no intention of starting a channel. I bought the first ATN X Sight HD II so I could deal with some rats. I discovered the thing recorded, and began making little short videos I would text my friends. Anyways, I started watching old stuff, and found myself remembering some crazy shots... so the idea of a Best of video seemed like a good idea. Enjoy! I'm currently building out my new Leshiy, and will do a full write-up on that guy/process soon, as I'm waiting on a few pieces still... and as we all know, patience is needed within the airgun industry ;). For now, here's the details of the 4 EDgun's I use: The EDgun Leshiy, EDgun Leyla 2.0, EDgun Matador R5M, and the unicorn of EDgun's... the EDgun Veles pistol. Regulator: Hybrid HUMA setup... HUMA Sub 12ft/lb Kit Plenum, Valve, Valve spring, and hammer spring. Then I use the standard high-power HUMA regulator. Why? Sounds like you're a details person... scroll down, and get your fill. 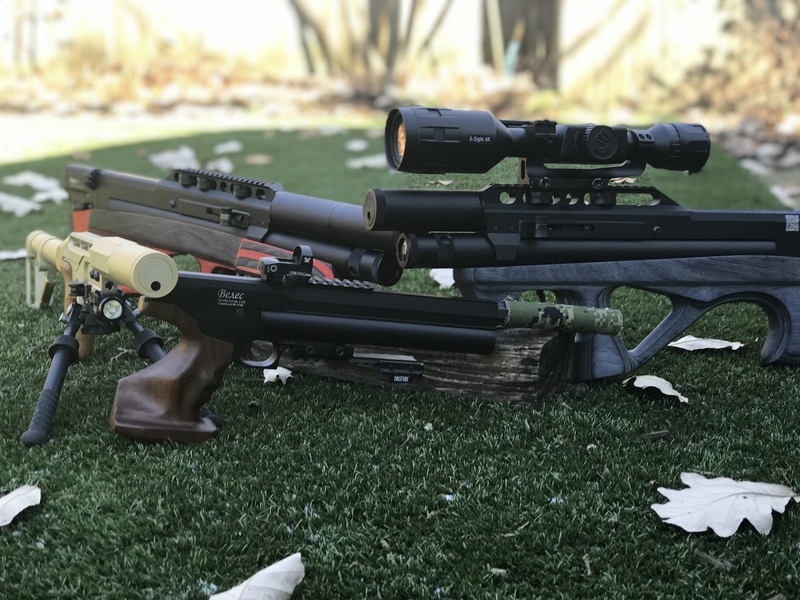 Tune: 105bar on the reg, and then turned HST up to get to the following... JSB .25 Kings @ 545fps (16ft/lbs) and the Polymags @ 520fps (15ft/lbs) and in .177 I shoot in ~ sub 12ft/lb config... so about 590-630fps depending on the pellet. 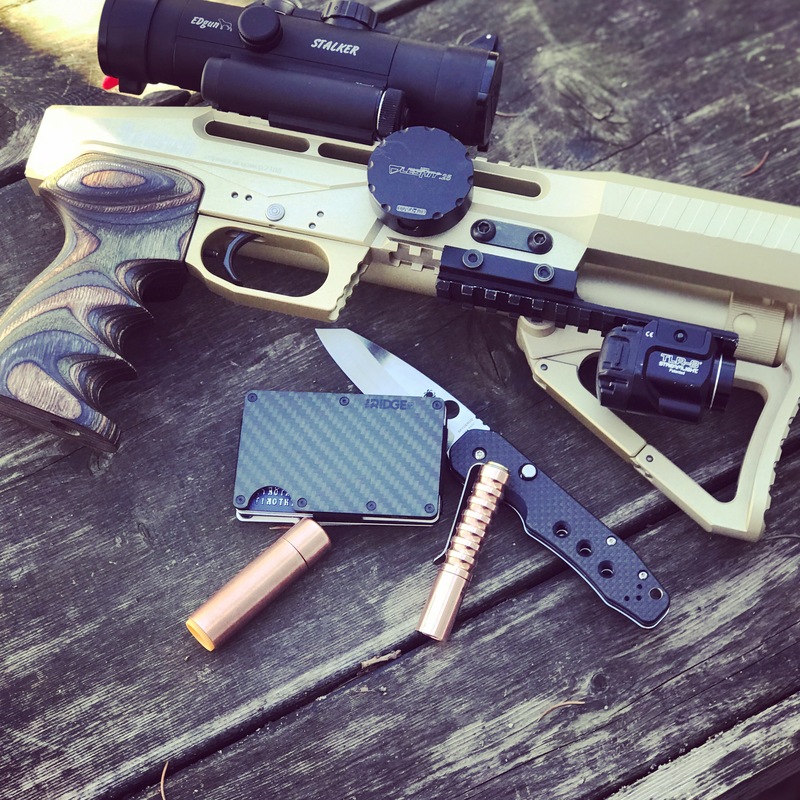 Custom Grip: You need to join the EDgun Owners Facebook group. Simply search for custom grip, and you'll find Steven Brown. He's your man. 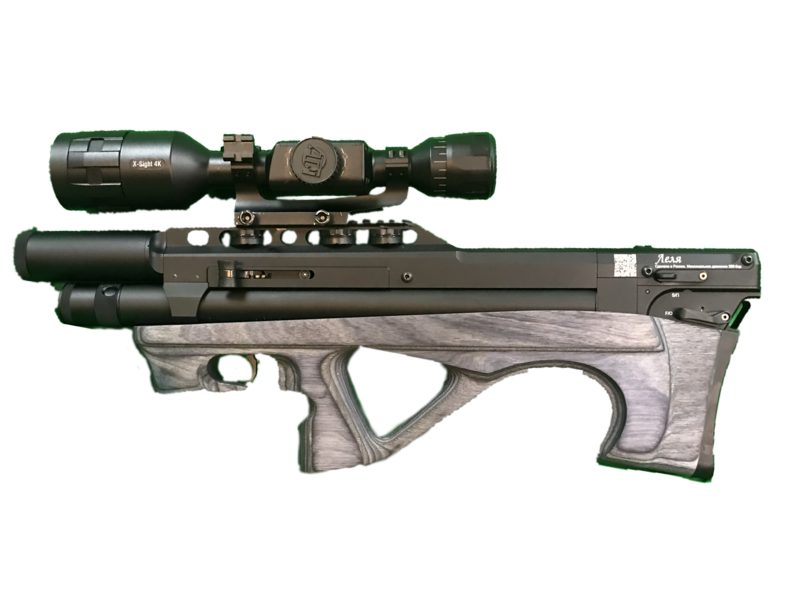 Regulator: Ed's new reg for this gun is sick. I haven't even had to touch it when shooting between 580 - 900fps. 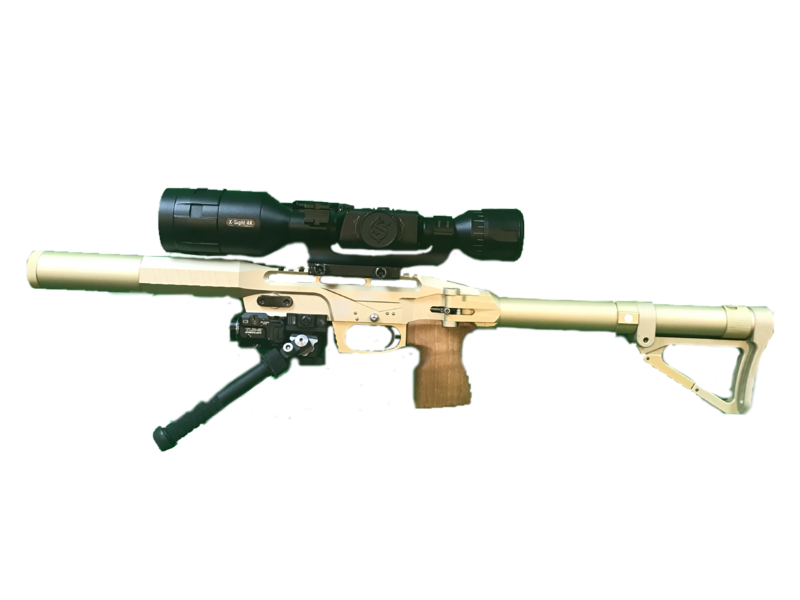 The scope is the ATN X-Sight 4K Pro 3-14x. It's a digital day/night scope, and shoots video in HD using the 4K sensor (i.e. super clear!). The scope comes with different mount options. These get beat-up a bit in the forums and FB pages for being poor quality, but 100% of those folks are shooting some pretty heavy caliber firearms. 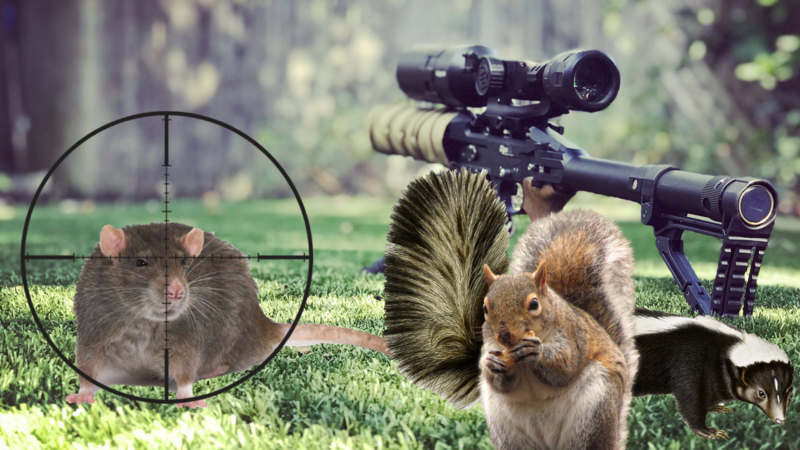 With an airgun, you'll have zero issues. They include an offset mount for the rear, and I think it's pretty ideal for the leshiy. I swap this scope pretty regularly between the EDgun Leshiy and EDgun Matador R5M. The scope has the ability to setup multiple profiles, so that part is super easy... but moving the mounts was a pain. I ended up snapping a bolt actually. I got an email announcing the ATN quick release mount, and I snatched it right up. I was concerned with how well it would hold zero, but was pleasantly surprised. It holds what I'd call "pesting zero". If I was shooting benchrest, I'd probably re-zero it each time, but it's within .25in for me every-time I've moved it back and forth (knock wood). 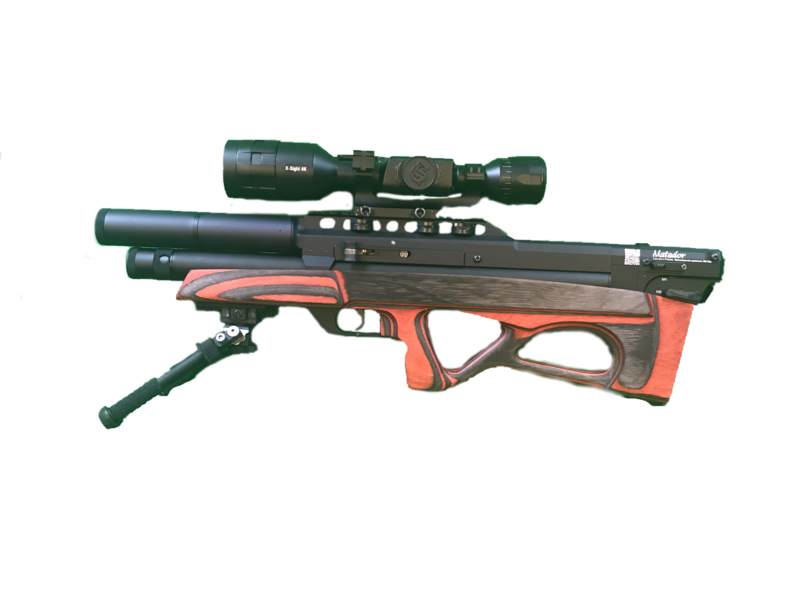 One of the biggest cons for this scope is specific to airguns. 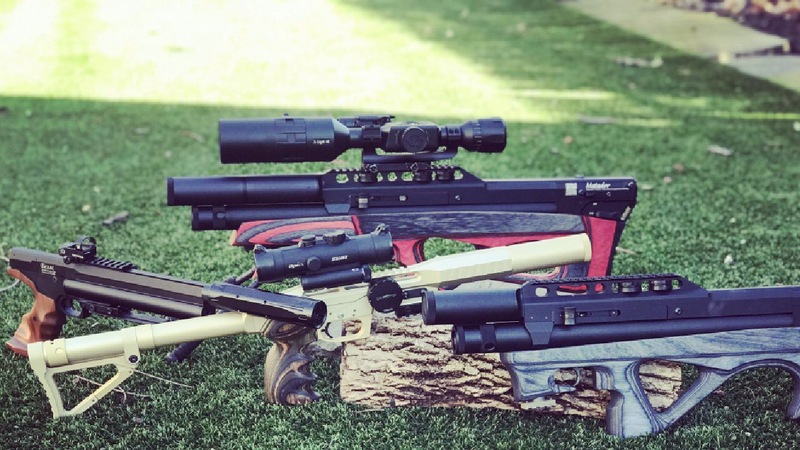 If you shoot a lot of different distances, you may struggle as the recital options are not big enough for holdovers required beyond lets say 60-70 yards. 40 yards and in pesting / hunting though... this thing is perfect. There is a great little hack though using the profile feature. You can use the app on the phone to very quickly change between them. So you could setup 20, 30, 40, 50, 60, etc profiles, and just simply choose the one you need, and hold crosshairs. Honestly, once you've done it a couple times, I think it's similar in effort/time to moving a turret. The phone app makes it super fast to change, but even the menu within the scope it pretty easy to navigate. 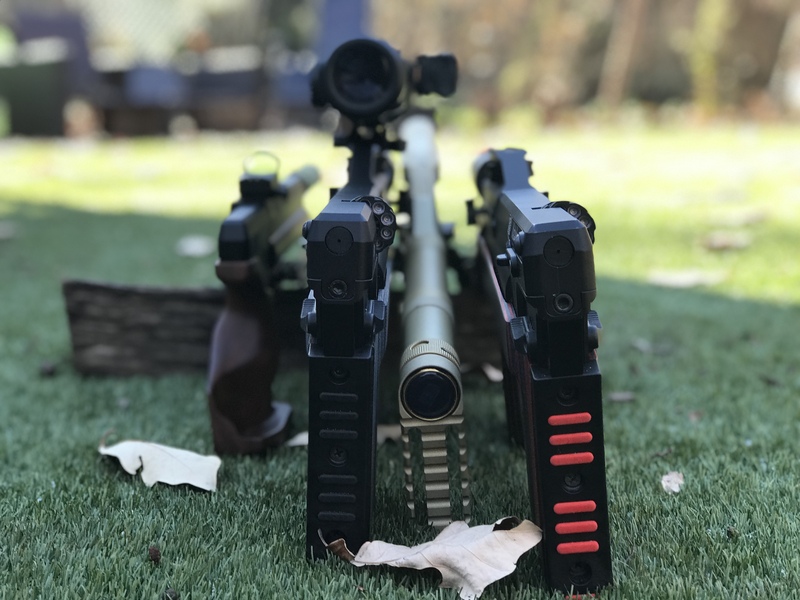 The bipod offers me a ton of flexibility for various scenarios. The Atlas is expensive, but totally worth it in my opinion. The cant feature is really helpful when shooting in the woods off uneven rests, and the multiple angle options offer additional stability. The overall build quality puts it in the lifetime type category... just like the EDgun Leshiy.